Yoga is a group of physical, mental, and spiritual practices that originated in India. It has many health benefits including improving health, flexibility, and posture. It also betters bone health, increases blood flow, and boosts immunity. 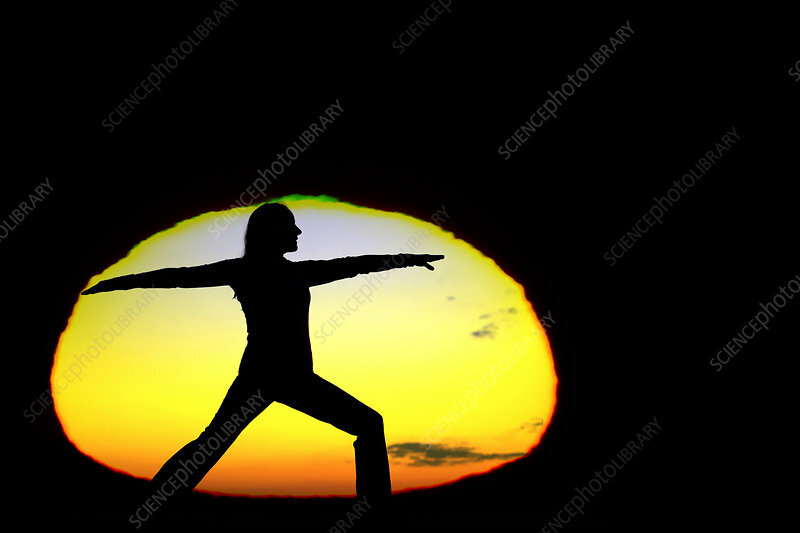 Here a yoga pose appears before the Sun displaying a green flash.